Average comedy thriller, watchable for some hillarious moments. Ek aalsi aadmi ko jab koi mushkil kaam do na, toh koi na koi aasan tareeka dhoondh hi leta hai karne ka. 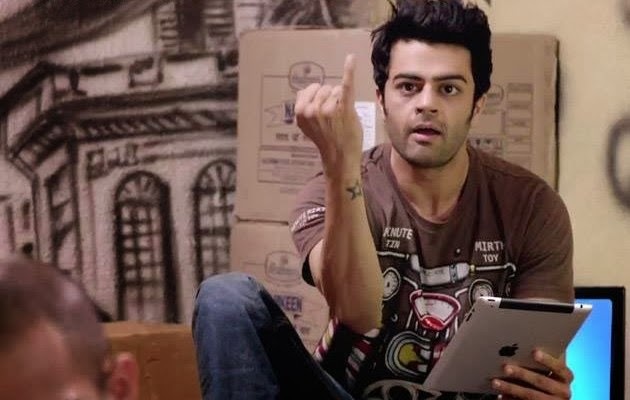 Delhi Police seeks help of a hacker Mickey (Manish Paul) to solve a hacking case. Mickey who is a lazy person, gives in after a while only to realize that he has got himself into a big problem. The start to the movie is funny with first 20-30 mins full of good creative dialogues, specially the small finger one. But, after that the film starts to fade off. We see a character trying to fool us, when we know the motive of that character right from the first scene itself. So, its waiting game as to when it will get exposed in the movie, good thing is it happens at interval point. That makes 2nd half worth watching, but its a let-down too with a very weak climax. The first time director tries to make a good comedy-thriller but except one suspense element, everything else is easily predictable. Songs are pretty much average, Tose Naina gives good romantic feel. Manish Paul in his debut performance is likeable, he gets the dialect pretty well and I was almost sure his comic timing would be good. Elli Avram is very average but she looks too hot, specially her entry scene in the yellow saree. Varun Badola was other great performer in the movie, with the haryanvi accent he gives some of best humourous scenes, sadly his role is limited to a supporting actor. In a scene, he fails to differentiate between Hawker and Hacker. Also, that conversation where he talks with his wife on mobile. Among rest cast, Puja Gupta shines as the friend of Mickey who is very lively and hyper. Also, Nilesh Pandey does well in a small role. Mickey Virus starts well, but falls down very quickly especially after 2nd half. Its watchable for some good funny dialogues, the comedy isn't loud, its the drama where the movie fails to impress.